Automobile museum in Tupelo, Mississippi. Tupelo Automobile Museum, Mississippi. Rita took this panorama with her iPhone. 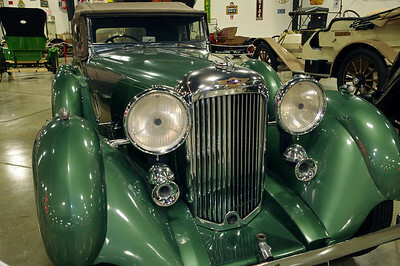 1936 Lagonda, Tupelo Automobile Museum, Mississippi. 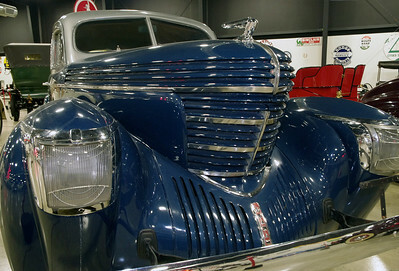 1939 Graham, Tupelo Automobile Museum, Mississippi. 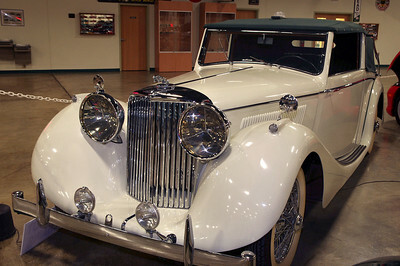 1948 Jaguar Mark IV; Tupelo Automobile Museum, Mississippi. 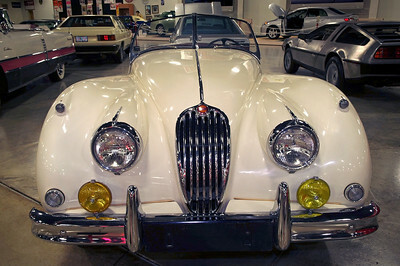 1955 Jaguar Mark XK140; Tupelo Automobile Museum, Mississippi. 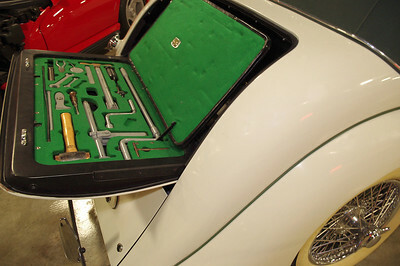 Tool kit built into the 1948 Jaguar Mark IV; think you'll need that hammer? Tupelo Automobile Museum, Mississippi. 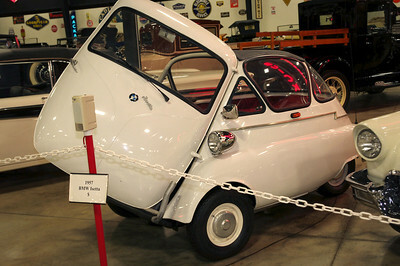 1957 BMW Isetta. For some reason, Leonard Lord, head of the British Motor Company, hated the German bubble cars like this one, and the Messerschmitt. After European fuel shortages following 1956 Suez Crisis, his instructions to the BMC design team, headed by Alec Issigonis, was to make a proper miniature car to rid the streets of bubble cars. The result in 1959 was the Morris Mini-Minor, later known as the Mini. 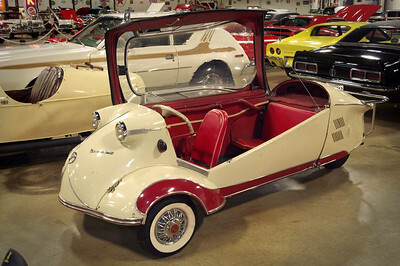 1955 Messerschmitt; Tupelo Automobile Museum, Mississippi. 1957 BMW Isetta. Leonard Lord, head of the British Motor Company, hated the German bubble cars like this one, and the BMW Isetta. After European fuel shortages following 1956 Suez Crisis, his instructions to the BMC design team, headed by Alec Issigonis, was to make a proper miniature car to rid the streets of bubble cars. The result in 1959 was the Morris Mini-Minor, later known as the Mini. 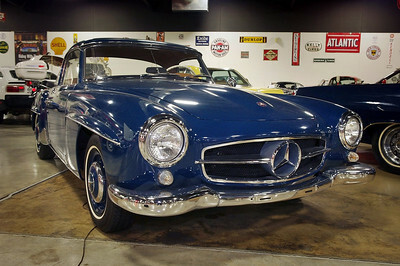 1960 Mercedes 190 SL; Tupelo Automobile Museum, Mississippi. I usually much prefer the British sports coupes to the continental designs, but that is a good looking motor car. Too bad I couldn't get a good profile shot which would have required crossing the museum's infernal white plastic chains.